On March 18, 2018, Caesar Rodney 1/2 Marathon & 5k will enter its 55th year, this renowned and historic Delaware race stands as the oldest half marathon in the country. The Caesar Rodney ½ Marathon attracts thousands of runners and features a hilly course that winds through the most beautiful and scenic areas in Wilmington. And for those not quite ready for a half-marathon, we also offer the two-person half marathon relay option and a run/walk friendly 5K. 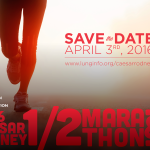 By joining the Caesar Rodney Half Marathon & 5K, you are helping to make a positive impact in the lives of those affected by lung disease. 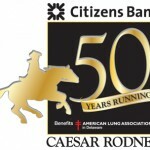 Participants raise funds to support the mission of the American Lung Association while taking part in the Caesar Rodney Half Marathon & 5K in Wilmington, Delaware.